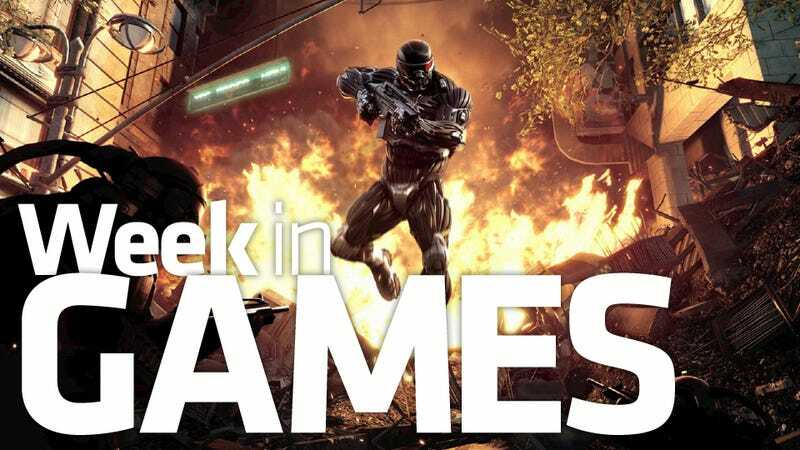 Crysis 2's arrival is the console highlight of the week. A raft of games in preparation for the Nintendo 3DS's North American release next Sunday also start hitting retail shelves. Crysis 2 (Xbox 360, PS3, PC) - Crytek's futuristic shooter comes to the urban jungle of New York City. You'll use the Nanosuit's awesome powers to fight off the alien infestation in a first person shooter that packs a lot of high-polish visuals. Lego Star Wars III (PS3, 360, Wii, DS, 3DS, PSP, PC) - Traveler's Tales brings the conclusion of Star Wars' first trilogy to the 3DS and all other platforms. Crecente preferred it in 2D mode. Also: Dissidia 012: Duodecim Final Fantasy (PSP); Assassin's Creed: Brotherhood (PC); Mayhem (PS3, 360); Naruto Shippuden: Kizuna Drive (PSP); PlayStation Move Heroes (PS3), Raving Rabbids Party Collection (Wii); Tomb Raider Trilogy (PS3). Nintendo 3DS titles releasing this coming week: Asphalt 3D; Combat of Giants Dinosaurs 3D, Madden Football 3D; Ghost Recon: Shadow Wars; Pro Evolution Soccer 2011 3D; Nintendogs + Cats; Pilotwings Resort; Samurai Warriors Chronicles; Steel Diver; Super Monkey Ball 3D; Super Street Fighter IV: 3D Edition. The Nintendo 3DS releases in North America on March 27.